Welcome to the October, 2008 edition of the Carnival of Trust. 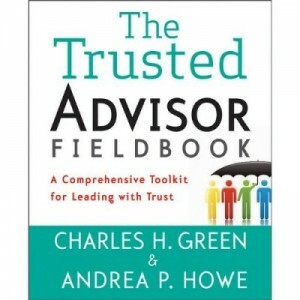 As usual, we’ve combed the farthest reaches of the blogosphere to find the Top Ten posts of the past month related to trust across the broad categories of Sales and Marketing, Strategy, Economics and Politics, Advising and Influencing, and Leadership and Management. Congratulations to all the selected posts, which were excellent. If your submission didn’t get picked this time, please don’t despair; submit again next month. And enjoy the reading. Ford, as he puts it, is still inclined to believe there must be a pony here somewhere. For my part, I’m the guest host this month at the Sales Sandbox for the Customer Collective, and I’m learning a lot. Which makes me the least curmudgeonly of this trio for once. In Overcoming the trust barrier of your prospective customers, Richard Parkes Cordock lays some uncommonly good common sense on us, courtesy of David Ogilvy’s classic “Ogilvy on Advertising” (1983, and still ranking number 7,000 on Amazon). What wisdom does Ogilvy impart? According to Cordock, it’s the core idea that you sell better by doing than by telling (a concept near and dear to me), and that therefore your best salespeople are other employees. A refreshing tonic of solid, sober thinking about the right way to sell. Have you heard of Hungry Girl? AKA Lisa Lillien, she is not a nutritional expert, but an average woman trying to eat what she likes and still fit into her jeans. Right there she has a huge market. A former production executive, she now employs 13 and her endorsement is sought. In Would You Trust a Hungry Girl, author Drea Knufken hints that it’s the combination of girl-next-door with enough earnestness at her attempts to get food recommendations right that make us trust her. Notwithstanding Alan Weiss’s bad experience with LinkedIn, and for all the Mr. Joneses amongst us, Chris Wright appears in the Bob Dylan role to tell us about Influence & Authority in a Web 2.0 World. He cites several studies, most particularly a heavily researched piece by Universal McCann called When Did We Start Trusting Strangers? As I read this, I started realizing how much indeed I have come to be influenced by strangers online. I resemble that remark. And I bet you do too. Simon Djankov writes in Regulation and Trust: Substitutes that trust and regulation may be not only inversely related, but bi-directionally causal. Which means, if you’ve got a low-trust society, that will cause demand for regulation. Fair enough. But it also means that if you have a highly regulated society, it’s likely to be low-trust. Ouch. If right, this means two vicious circles: one starts with low trust, which leads to regulation, which leads to lower trust. 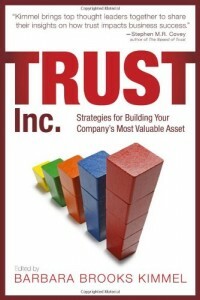 The other starts with regulation, which lowers trust, which leads to more regulation. Is he right? The times would certainly seem to suggest so. Is it actually impossible for a politician to be trusted? You could make a case that the nature of politics—successive needs to find a consensus opinion—means that someone with consistent principles simply cannot achieve enough consensus to be effective. But even if that’s the case, how far do we tolerate truth-stretching, I mean lying? In The Politics of Lying, by PR Watch, the author makes the case that the lies are more omnipresent lately. The role of the press is supposedly to be even-handed; but what do you do if one side lies qualitatively more than the other? Do you serve even-handedness, or the truth? This is partisan stuff, but a discerning reader can parse the trust issues from the particulars. And provocative issues they are. Suppose someone disses you. Or gossips in front of you. Or otherwise causes your trust in them to begin to erode. Pete Wilson, in Is Your Trust-Meter Broken, has the answer. And in my humble opinion, his answer is as right as it is counter-intuitive. A lot on both counts. But don’t let me ruin it for you; click here to find out his answer. And let us know if you agree! You’ve probably heard of the Grameen Bank and microfinance. Basically, tiny loans given to poor people in countries like India have resulted in great economic development and—interestingly—very low default rates. People tend to perform to what is expected of them. But it’s not working in Argentina. Natasa Kovacevic at Harvard International Review explains why in Risky Business: Microcredit in Argentina. If you’re used to being conned, you won’t trust. A simple concept, played out on a global stage, with such high stakes. I tend to glaze over and get sleepy on hearing certain words. “Meaning” and “leadership” are two such words. About the only two writers I look forward to hearing from on those topics are Viktor Frankl and R. Crumb. Well, make it three, now that I’ve read Brad Kolar’s piece Leadership and Meaning . Not only that, but he’s got five very unusual, practical and do-able steps to create a culture of meaning, e.g. “get beyond facts,” “make a five line drawing of yourself,” and read Viktor Frankl. Human Capital? Or Humanoid Capital? When companies start looking at ways to micro-manage the activities of their employees my guess is that there is a bigger problem here that is not being addressed: Put simply.. Sounds like he’s got it dead right. Micro-measurement for micro-management turns into a trust issue: it uses human beings for corporate ends, rather than the reverse. Thanks for reading, and thanks to all our contributors and authors. I hope you enjoyed this edition of the Carnival. Please nominate a post for next month. Testimonials sound great, but unless precisely credible to the customer, they can backfire.